Recently the government has updated its guidelines for MOT tests. You will now face prosecution if you have failed you MOT, even if your previous MOT hasn’t expired. The only exception are to drive to a pre-booked re-test or to have the defects fixed. That means that if you are driving a car that hasn’t got a valid MOT you face fines of up to £2,500, a driving ban and three penalty points. We offer services such as a free courtesy car, free collection and drop of service and an MOT while you wait service so you can fit your MOT into your day. If you have an MOT with us and your car fails we can offer you a loan car, dependant on availability, for you to use whilst we get your car up to the current MOT standards. 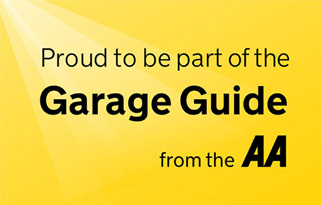 Based on the Rudgate Business estate on the outskirts of Tockwith we are a garage specalising in servicing, MOTs and repairing motor vehicles. We believe in providing an honest and friendly service along with great workmanship. Winter is on the horizon, is your car ready?